Protesters gathered in Millennium Park Monday, Aug. 17, to demonstrate against police brutality. 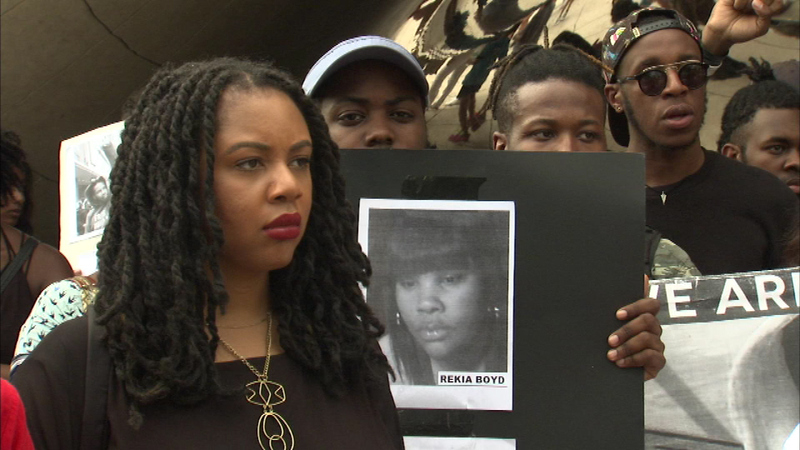 CHICAGO (WLS) -- A group gathered at Millennium Park Monday asking people to rise up against police brutality. They were joined by the relatives of those who were killed by law enforcement officers. Organizers say the issue impacts all races and ethnicities. "We have to change our existence here, because if not then we are in danger. We're all in danger. It's not a black issue, it's not a white issue it's a human rights issue." The Chicago Police Department issued a statement saying it "does not condone or tolerate any activity which undermines our integrity or the sacred community trust and relationships that are paramount in our efforts to make Chicago safer."